Savvy Spending: Amazon Instant Video: rent "Earth to Echo" for $0.99 or buy it for just $2.99! Amazon Instant Video: rent "Earth to Echo" for $0.99 or buy it for just $2.99! 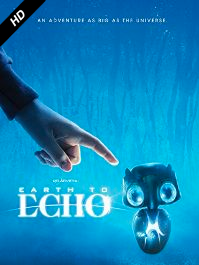 Amazon Instant Video is offering a great deal in the movie "Earth to Echo". Anyone seen this movie and would recommend it? Check your Amazon account- you may have promotional credits that could cover the cost of this as well!